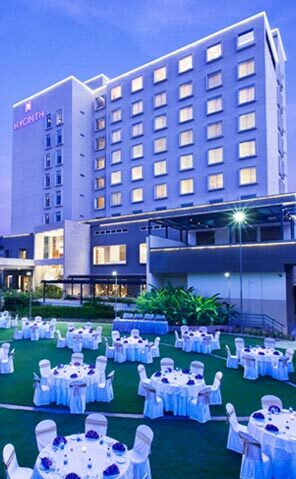 HYCINTH is a premium boutique hotel that offers a distinct and refined hospitality experience in the heart of Trivandrum. The hotel aims to revolutionise conventional notions of hospitality with contemporary sensibilities and innovative design choices. The artistic touches that are an essential component of the hotel's personality combines loud colours and soft shades, immersing the guest in a playful environment that aims to excite and engage. Great care has been taken to handpick each piece, some travelling across the globe to find its way into the hotel's décor. While these aspects reflect the global standards that HYCINTH lives by, the hotel itself is a comfortable haven for guests to explore the region's local flavours. The food and beverage choices at the hotel are a dynamic balance struck between international tastes and regional cuisines. All in all, HYCINTH offers an experience that truly stays with you.